What The Pointe believes about God, how He relates to us, and how we relate to Him is foundational in its teachings. 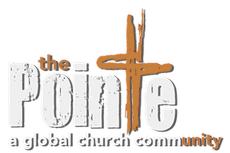 The Pointe wholeheartedly serves God and the people of His world, based soundly on the Bible. We live and die by these words and believe they bring the only life worth living—one wholly committed to Jesus.